We got our hands on the Brooklyn and Bailey mascara and love it. Any mascara lovers out there? How about Brooklyn and Bailey fans? I’m raising my hand so high that I don’t even know how I’m still typing!! 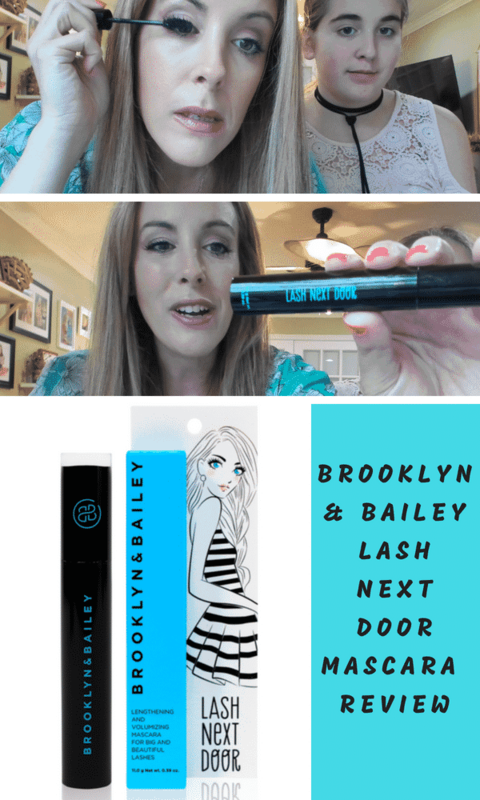 🙂 My daughter and I got our hands on Brooklyn and Bailey’s newest product launch – Lash Next Door! Have you heard of this new mascara line? I am just so excited for this family because I’m friends with their mom, Mindy, and I have to tell you something really serious right now –> they are good people. Not in a fake YouTube sort of way. They are legit good eggs. All of them. Kind souls. So, I wish them well. Every single one of them. To see that Brooklyn and Bailey are doing SO GREAT at SUCH a YOUNG age is just simply fantastic. And to test out their Lash Next Door Mascara and LOVE IT was the cherry on top!!! Check out my video review for Lash Next Door. Because the Lash Next Door product was created by teens, I decided to bring along my teen daughter for this beauty review. Natalie was super excited to take part in the action. By the way, she took every single thing that came in the box we received. My daughter is an absolute fan of B&B. No doubt about it!! That choker was technically “mine” for about 3 seconds. LOL! Ok, so check out the YouTube video to see what Lash Next Door looks like on my lashes. Natalie even tried out the mascara for your viewing pleasure as well. Super fun! Just like a chocolate & vanilla swirl ice cream cone, the Lash Next Door is made of 2 formulas – 1 that lengthens and 1 that volumizes. It’s also TEA, DEA, Paraben, Sulfate and Phthalate free, so it’s safe for your eyes! To top it off, you can layer without clumps, wear it all day and easily wash it off. We want girls to apply our mascara and feel confident that they can conquer anything! That’s why we’re donating 2% of proceeds to Girl Up – a United Nations Foundation that helps empower girls. Get Lash Next Door Today! It seems like Lash Next Door is sold out right now, but keep checking back!! I am sure it’s going to be back in stock before you know it!!!!!!!!!!!!!!!!!!!!!! Have you tried the Lash Next Door Mascara yet? What do you think??? To check out more of my YouTube videos, click here. Would love it if you subscribed to my channel. I post a new video every single day M-F. More beauty reviews coming up on the blog – stay tuned!